Hi there! Kristyn from Lil’ Luna here!! 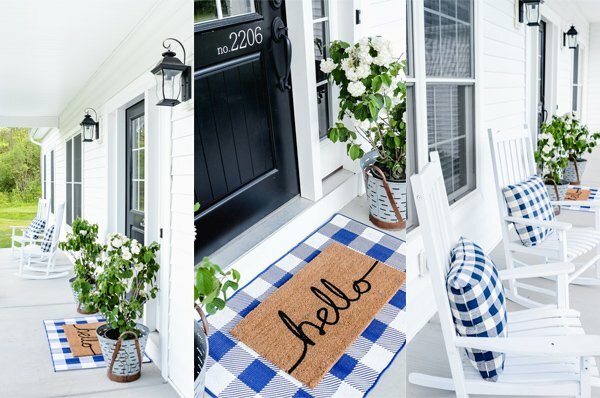 I’m SO excited to be here on Kierste’s awesome blog today – I just LOVE the girl!! 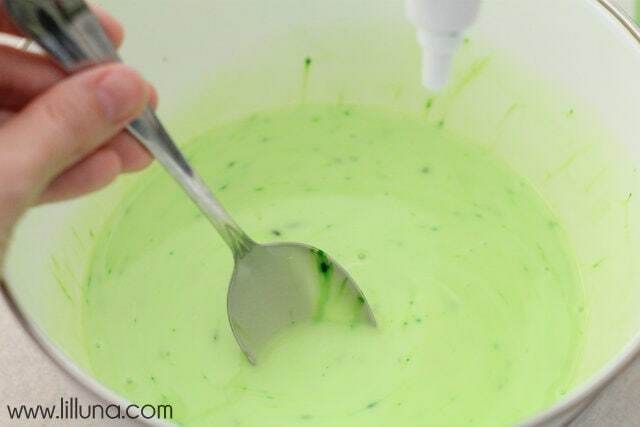 With it being Summer here in AZ, things are getting pretty HOT, and the kids aren’t as excited to play outside, so I thought it would be fun to make Homemade Gak (It’s something I made all the time with my cousin growing up!) The recipe that was most similar to the one I used growing up if one I found HERE. It is so EASY! 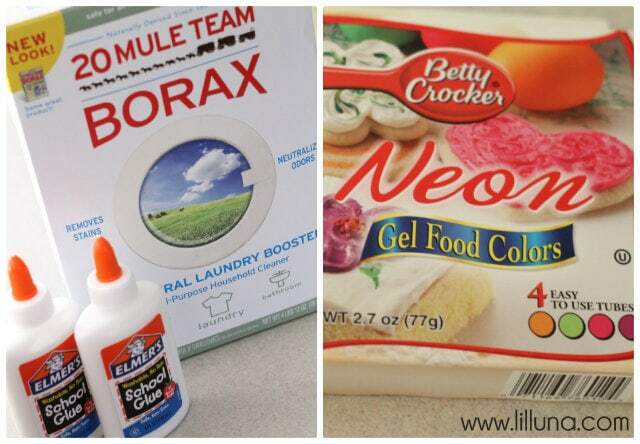 Here is how you can make Homemade GAK as well! 1. Gather all your supplies together. 2. 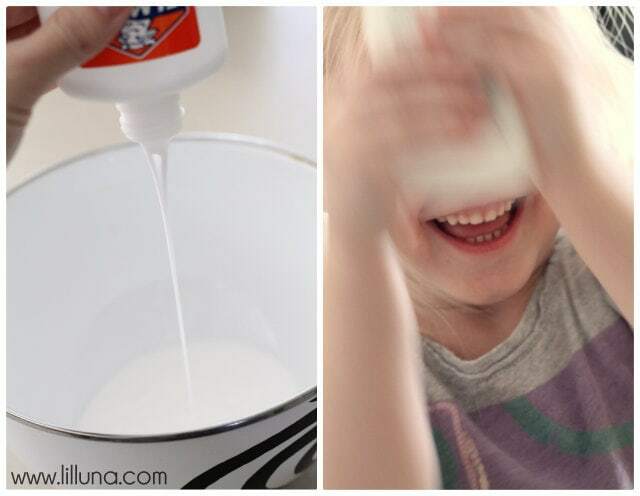 Begin by emptying the two bottles of glue into a bowl. Then fill bottles with warm water and shake. Empty into your bowl. 3. Add some food coloring. I got Betty Crocker Neon Gel Food Colors and they worked FAB!! The Neon made it look awesome, but I ended up squeezing almost half the tube into the mixture because I wanted it to be really bright. :) Set aside. 4. Add 1/2 cup warm water to your cup. Add 1 tsp. borax to the water and mix until borax dissolves. Then pour this into your glue bowl. Start stirring and you will notice how it starts becoming stringy. 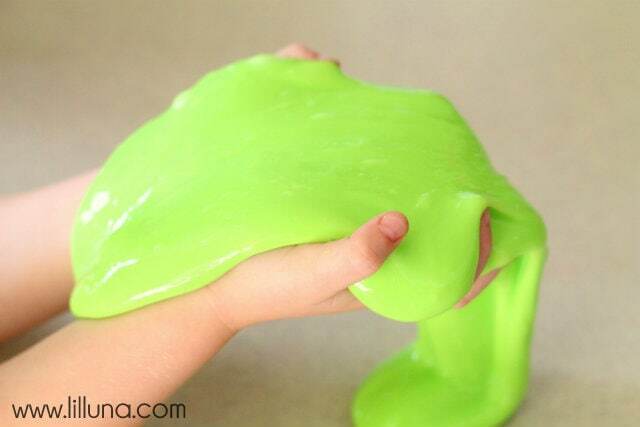 Keep mixing by using your hands and squishing around. You will notice after a few minutes that it has become pretty gelatinous. 5. Let the kids play with it for a bit and it will become the perfect GOOEY consistency! How long does this last and how does it need to be stored? Thanks for this simple recipe!